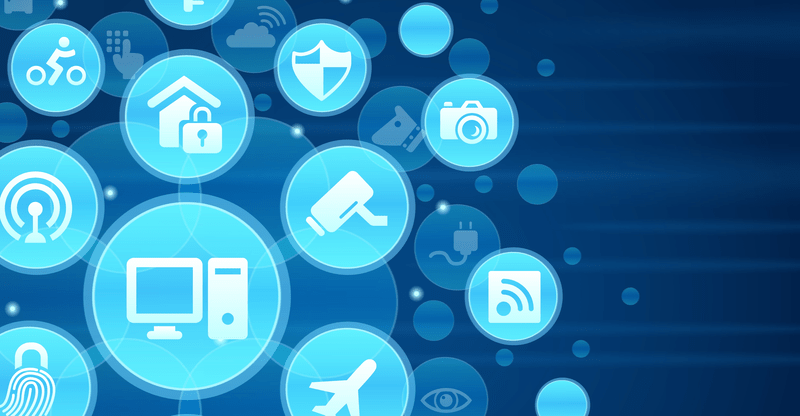 IoT, Internet of Things technology is a classic example for the above statement. IoT is the latest innovation in the field of smart technologies and all the top industries are gearing fast towards the implementation of IoT on to their devices. IoT not only makes the electronic devices smarter but also provides the user with valuable insights to make the processes efficient and productive. It is simply because of the efficient data management system that the IoT system provides to a user. With the boom in consumer internet usage, almost all the electronic devices that we use in our day to day life collects data about our behavior, preference and personality traits. And IoT technology enables the service providers to use the data collected to improve the overall user experience and interactions. With such offerings, IoT is quickly transforming the industries and consumer products as we see it. IoT technology not only amazes us with its offerings but also develops a curiosity within us to learn about it. With the help of this IoT project kit, you will develop a smart electronic device that can monitor the temperature and humidity changes in the environment and send the data real-time to a remote user. This IoT based system can also be programmed to carry out some actuations whenever the temperature/humidity drops below a threshold value. This Weather Monitoring System using IoT Project Kit comes with excellent video tutorials based course content that will help you learn and build the project. With the help of this IoT project kit, you will build an electronic device that can facilitate automatic switching ON/OFF of water pump based on the moisture level present in the soil. The device will also send the data collected like water pump functioning time, moisture level variations in the soil etc to cloud for storage and analysis. This Smart Irrigation System using IoT Project Kit comes with excellent video tutorials based course content that will help you learn and build the project. With the help of this IoT project kit, you will build an electronic device that can monitor the flow of water through pipes and intimate the user about the water usage and leakages real-time. The system uses a water flow sensor to detect the flow of water and sends the data collected to cloud to facilitate storage and analysis. This Smart Water Monitoring System using IoT Project Kit comes with excellent video tutorials based course content that will help you learn and build the project. With the help of this IoT project kit, you will develop an electronic device that uses LDR sensors to detect the intensity of sunlight present outside and facilitates the automatic switching ON/OFF of the street lights. This IoT system will also send the data collected from the sensor to cloud for storage and analysis. This Automated Street lighting using IoT Project Kit comes with excellent video tutorials based course content that will help you learn and build the project. With the help of this IoT project kit, you will develop an electronic device that uses PIR sensors to detect the presence of humans and facilitate the automatic switching ON/OFF of lights to save electricity. This IoT based system sends the data collected about the electricity usage and number of occupants over a period of time to cloud for storage and analysis. This Smart Building System using IoT Project Kit comes with excellent video tutorials based course content that will help you learn and build the project. With the help of this IoT project kit, you will develop an electronic device that can be used to control all the home appliances via smart phone using Bluetooth Technology. You will be able to link and control all the home appliance using an Android App. Also the data collected about the home appliances functioning will be sent to cloud for storage and analysis. This Home Automation System using IoT Project Kit comes with excellent video tutorials based course content that will help you learn and build the project. 7. Raspberry Pi based Weather Monitoring System using IoT Project Kit: Raspberry Pi is a miniature size standalone computer that can work independently and controls a system. Using a Raspberry Pi computer and a DHT sensor present in the IoT kit, you will develop an electronic device that streams temperature and humidity data over the internet. You can program the system in such a way that say whenever the temperature exceeds a certain limit, the device will automatically send an email notification. And the data collected will be sent to cloud for storage and analysis. This Raspberry Pi based Weather Monitoring System using IoT Project Kit comes with excellent video tutorials based course content that will help you learn and build the project. Since IoT is a latest technology, learning to build the project all by yourself will be tough. So prefer IoT kits that come with good course content. While buying IoT kits with course content, prefer video based tutorials. Because referring documents and building the project will be extremely tough. Before purchasing the IoT kit, check for the company’s credibility and reputation. You can check for the company’s credibility by going through their social media presence, Google/Facebook reviews etc. Also before placing your order for the IoT kit, check whether necessary technical assistance will be provided or not from the company’s side if you face with a problem. Always go for IoT kits that provide you with a very good learning opportunity. The knowledge that you gain will be very helpful in acquiring core jobs & higher studies admissions. The IoT kits we offer come with an engaging course content that is delivered with an innovative methodology to ensure your learning. The IoT kits are well tested and dispatched to you within 24 Hours. You can get necessary technical assistance by simply scheduling a doubt session for your convenient time. With this kit, you can complete your IoT project within a week and earn a smart certificate.